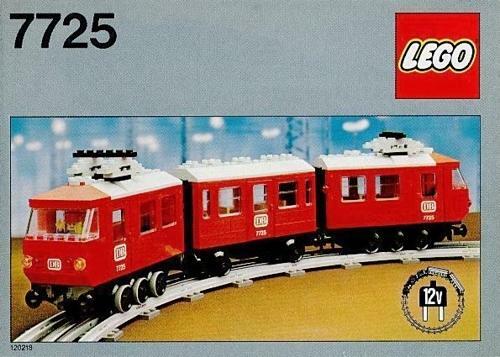 So who had a Lego train set back in the day? At around £40, they weren't cheap (that was a substantial amount for many families in the early 80s), and you were certainly going to gain a lot of friends if you were lucky enough to receive one for Christmas. I never received one for two reasons. 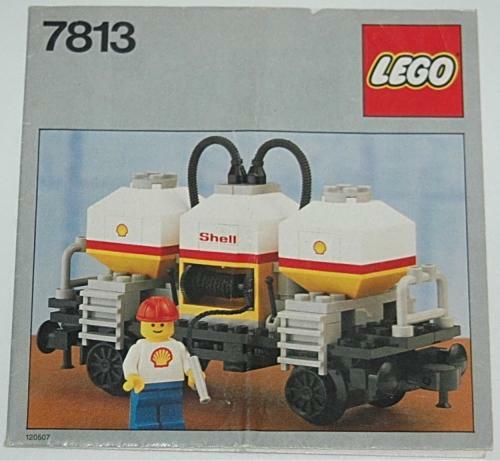 Firstly, in 1980, I was almost a teenager and, therefore, a tad too old to be playing with Lego! Secondly, my parents were still recovering from buying me a Scalextric set - they were mightily expensive! 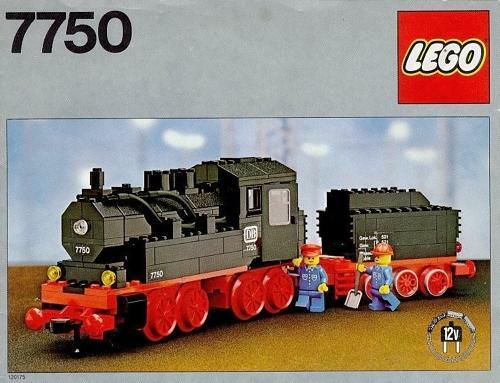 The very first Lego train set was introduced in 1966, with the model 080. It had blue rails and no electrics or batteries - you had to push it along with your hands. 4.5v battery trains were introduced with set 115, and from set 720 upwards (1969), 12v electrified rails were introduced. 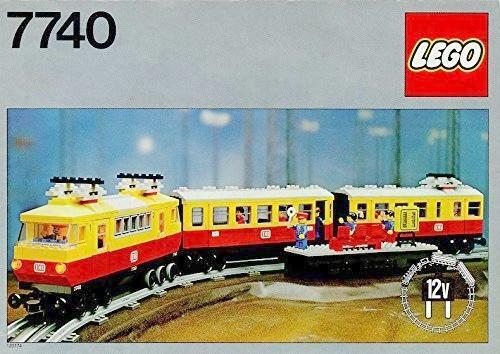 In 1980, lego trains were given a major facelift and were built to accommodate the mini figures that were introduced in the 70s. The rails became grey and the 12v transformer was streamlined. The sets now included remote control signals, points, level crossing and de-couplers. The trains themselves looked more authentic with longer carriages and wagons, and swivel wheelsets (bogies). City themes, cargo wagons and night time trains were introduced (which had me salivating at the time! ), and the latter included lights inside the trains, headlamps, tail lights and lampposts. A TV ad launched in 1983 which featured a mail train robbery. Hmm, I'm not sure whether that woould get past the PC brigade these days!